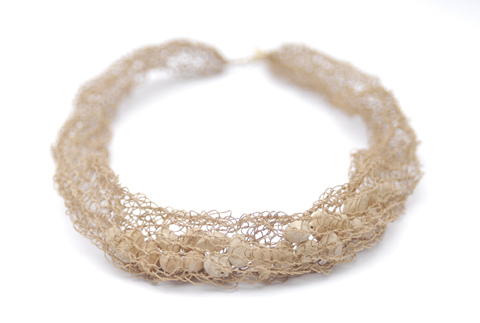 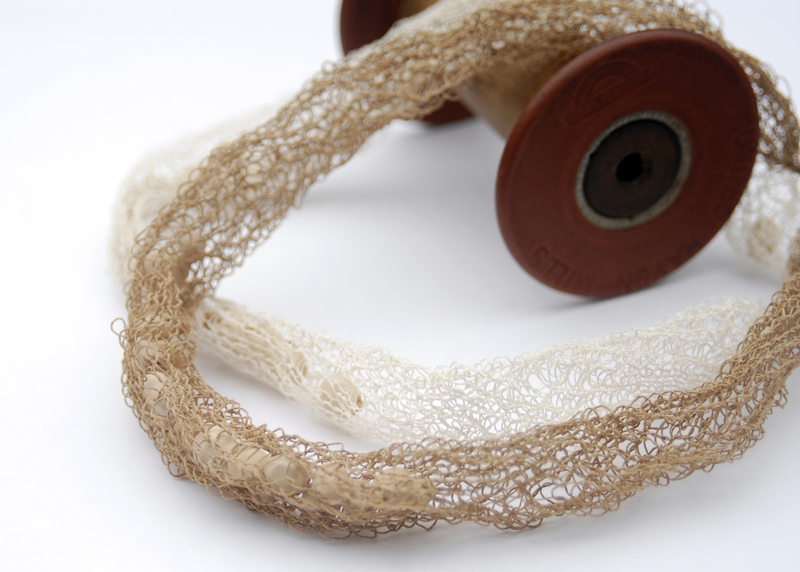 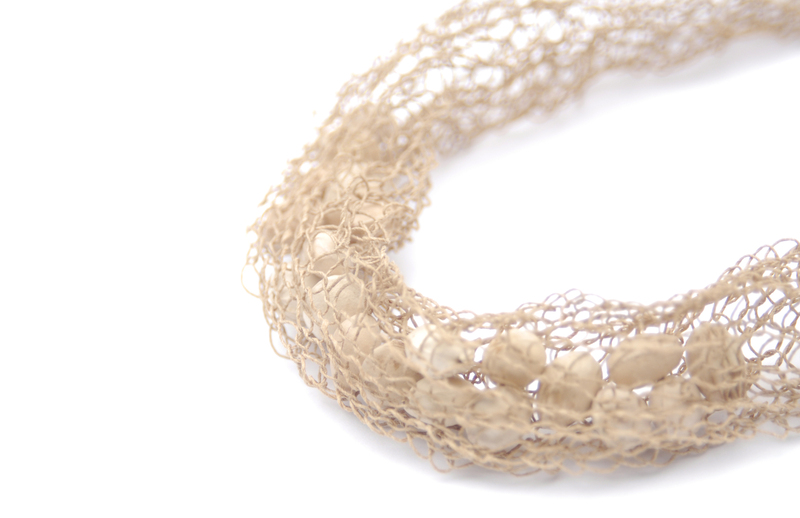 A knitted paper yarn necklace by Austrian label RefinedbyRuth (by Austrian artist ruth Rindlisbacher) in natural hues. 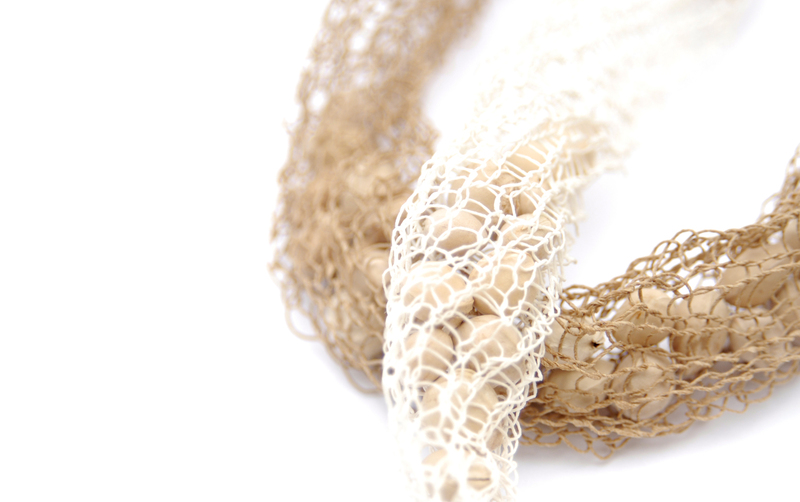 The Paper Yarn in Natural/Kraft works very well with the cherry pits that Ruth filled into the handknitted hose. Thanks to the paper yarn’s smoothness and elegance the necklace doesn’t look overly “eco” either – it’s a finely balanced piece that combines natural materials to their greatest effect.